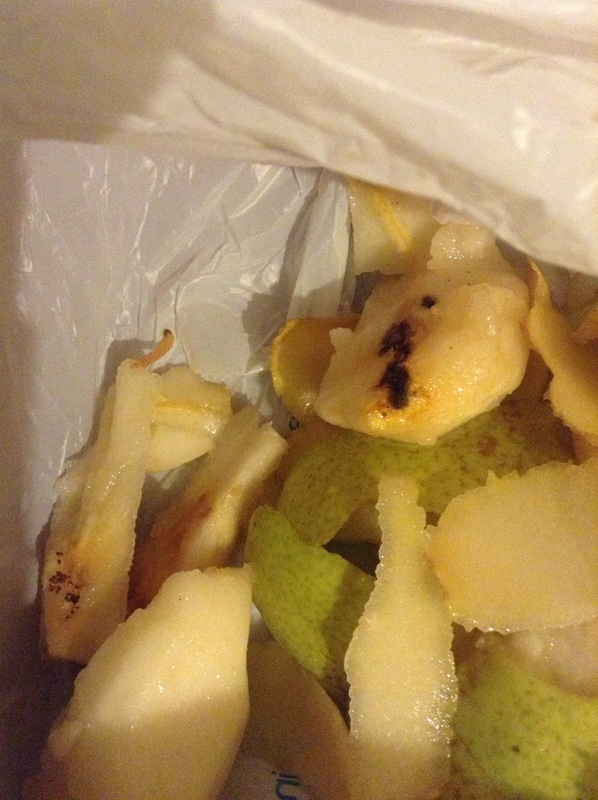 by Natalie in Cooking/Attempting to Cook, Parenting Battles, What's a mom to do? 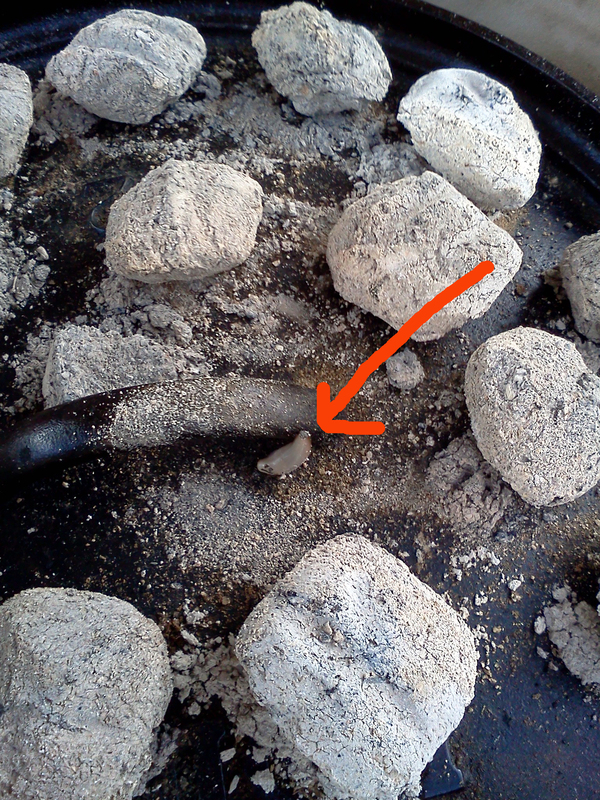 A slug roasting on our Dutch oven lid. 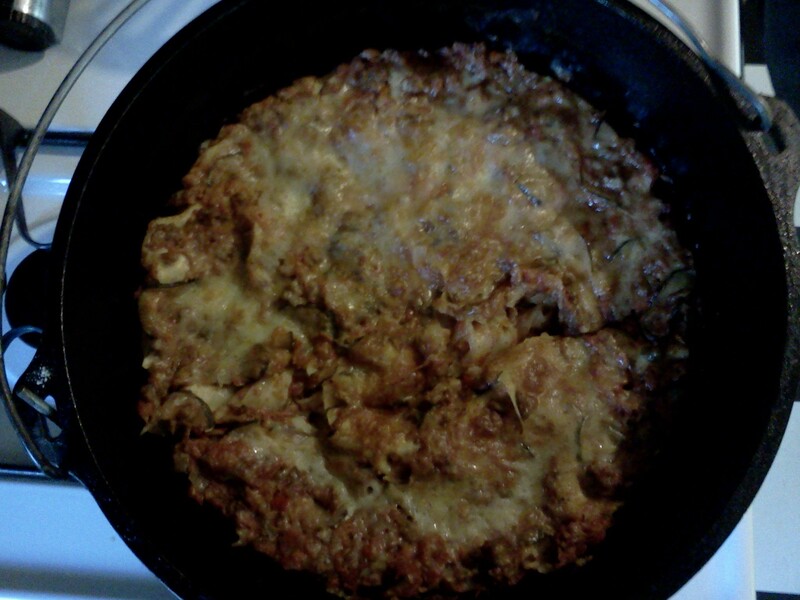 It’s a miracle any of my children survived to eat the Dutch oven lasagna we cooked last week. Cooking outside in the wild ended up being just that – wild. 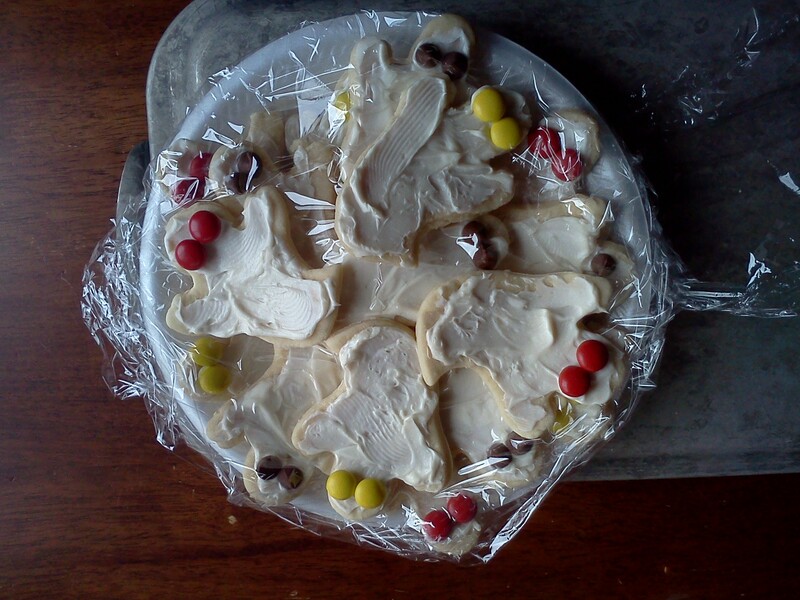 By the time we were ready to eat it I was ready to throw in the towel on motherhood. I swear I’m not cut out for most of these things. I was cleaning up inside while my husband set up the Dutch oven in our cooking pit outside. When I made it outside to check on our meal I was greeted by my two oldest boys who were so excited to show me something in a bubble bottle they couldn’t hardly contain themselves. A drowned Black Widow Spider. I’m not kidding. I’ve lectured them about touching them. I’ve tried to scare them to death with stories of how they will infect them with poison. But they just don’t seem to get the fact that spiders are dangerous. And Black Widows are number one or two on the danger list. They assured me that they didn’t “touch” it. They used a set of pliers to pluck it from our backyard window well. Then they drowned it in the water. What was even more repulsive was when my husband dumped the stupid spider out of the bottle and it started wriggling around on the ground. The “drowned” spider was still alive and kicking. I’m going to have to bug bomb my entire house to keep from having spider-fang-piercing-my-skin nightmares. After the spider episode I went to the backyard to look for some cantaloupe from our garden. I was so stoked about a yellow-orange melon that fell off our vine that I forgot to keep an eye on our one-year-old. Where was he headed? You guessed it, straight for the fire-hot Dutch Oven. The next thing I knew he was screaming and crying. He had burned two of his cute, chubby fingertips on the hot metal oven. I was horrified. I can’t believe I forgot to keep him safe. Worst. Mother. Ever. It took forever to calm him down. I kept running his hand under the cold water in our bathroom wishing it were my fingers that were burned not his. To make me feel even better, my oldest son pointed out at dinner that it could have been much worse. Our baby could have fallen into the Dutch oven pit and burned his face. Nice. Thank you for the mental image. At that point I couldn’t have felt worse. We all went back outside and my two oldest got in a fistfight over a toy. My oldest ended up punching my five-year-old in the mouth several times. I carried swollen mouth boy into the house and made him sit on one couch while the aggressor was forced onto the other couch. They sat in timeout for several minutes. Those were the calmest minutes of the night. Then they were let off time out and back outside. Just before our meal was done cooking, I heard my oldest shouting next to the Dutch Oven. Seriously? I thought he was burned too. But no, it was only his slug that was burned. And he wasn’t mad that it was roasting on the Dutch oven. He was mad that he dropped it prematurely. Turns out that while my husband and I were cooking lasagna on the inside of our Dutch oven, our oldest two boys were cooking up a bug buffet on the outside. 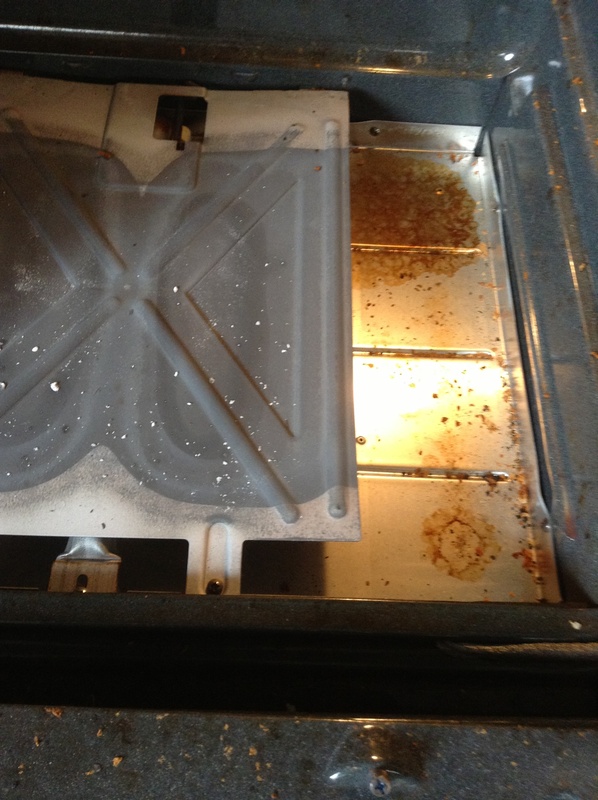 They were grilling insects on the lid of the oven. I nearly threw up. In one hour my children had handled a wickedly dangerous venomous spider, boxed their brother’s face swollen, burned blisters to the tips of their fingers and roasted a delicious dinner of grasshopper and slug. They were out of control and I was ready to give up. The only thing that made me feel better was eating two giant slices of the homemade Dutch oven lasagna. Then I went to bed, pulled the covers over my head and prayed that the next day would be more serene. Luckily it was. Otherwise I may have quit. I did it! 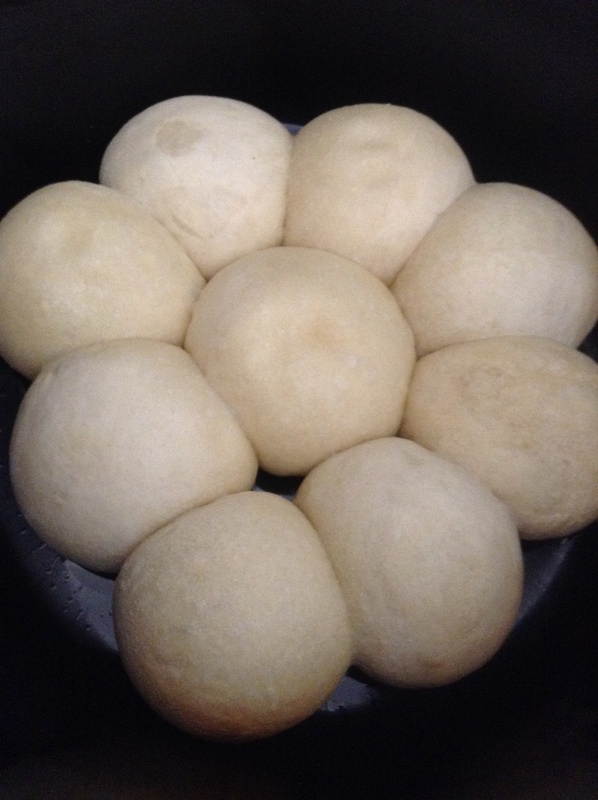 I cooked 9 warm, fluffy, delicious dinner rolls in my 6-quart slow cooker. I’ve wanted to do this for a really long time. I’ve thought about it, dreamt about it and wondered if it was possible. And since I’m banned from using the oven in the summer (you can read about that here and here) I’ve been craving rolls for months. Finally on Monday I could take it no longer. I searched online for others who have used their crock pots as roll cookers and found someone else who had tried it. That gave me inspiration. With the help of my boys, and a bag of Rhodes frozen dinner rolls, I was able to cook a bunch of rolls without heating up my entire house. We tried them Monday and they got a little crisp on the ends so we did them Tuesday too. It was two nights of back-to-back-roll-eating goodness. I’m so excited. Here’s how we did it. First we greased the bottom of my crock pot with vegetable oil. 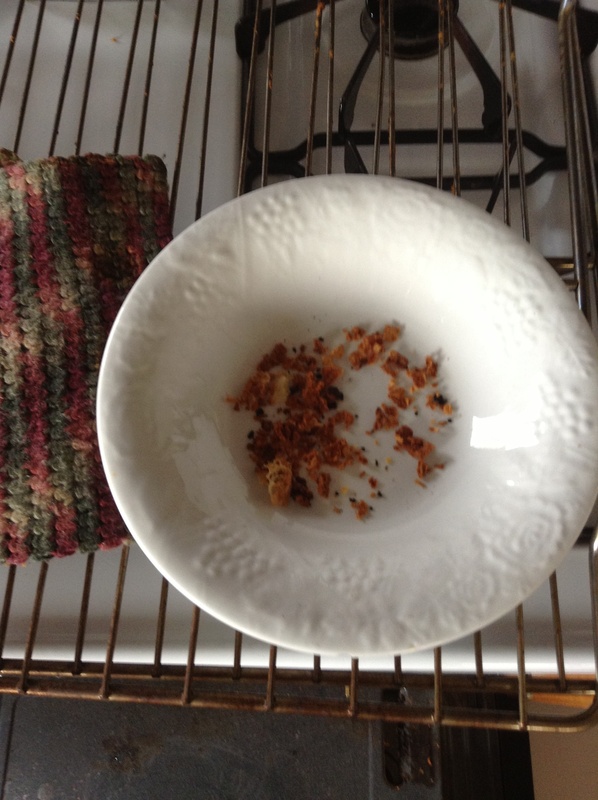 We rubbed it onto a napkin then rubbed it onto the bottom of the pan. Then we placed 9 rolls in the base of the crock pot – one in the center and eight around it in a circle.We made sure that the rolls weren’t touching the edge of the crock pot pan. Then we put the lid on and turned the crock pot on low. We cooked it on low for 1 hour and 20 minutes which allowed the rolls to thaw, rise and begin to cook. 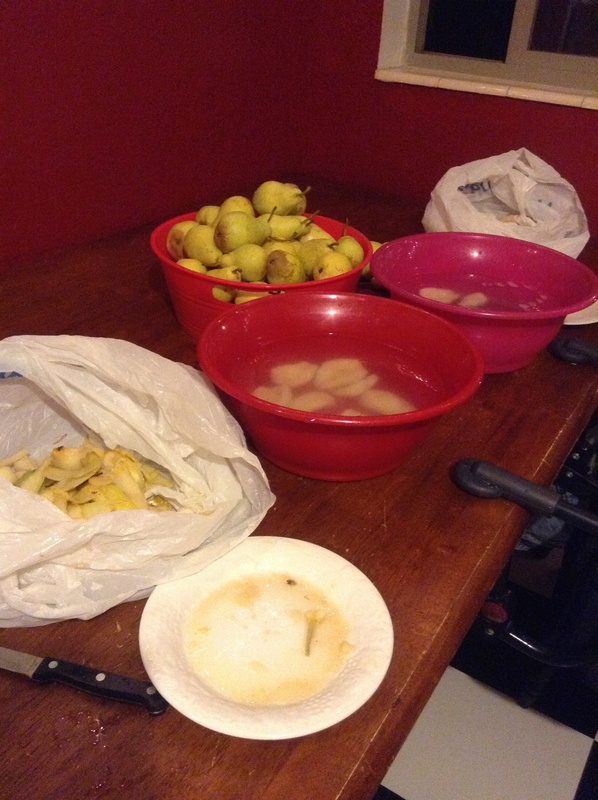 They ended up like this. 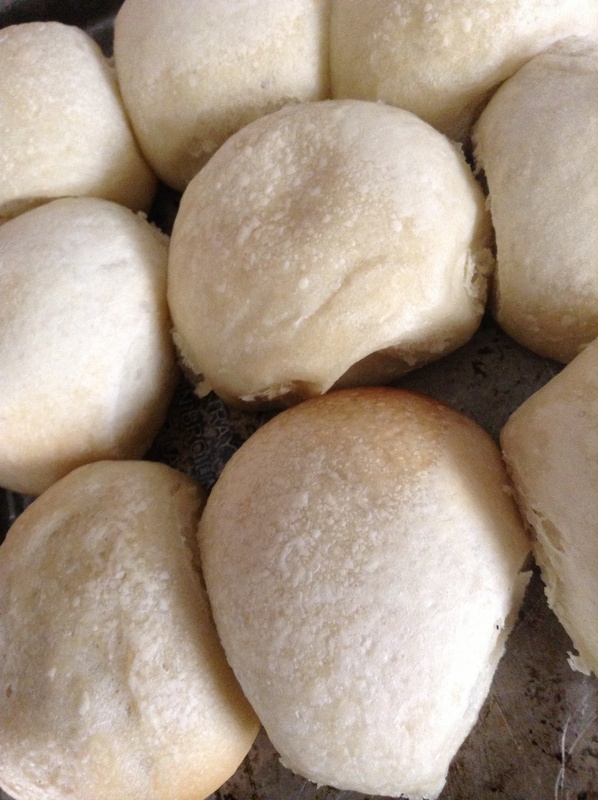 They may not have turned out as fluffy or round as other peoples’ rolls, but to me – someone who really struggles cooking normal-looking rolls – they looked beautiful. If you want them with golden tops, I suggest popping them into the oven after they are done in the crock pot and broiling them for a minute or two. I was so happy with our rolls I didn’t bother with the broiler. They may not have risen as high as they would have if I had baked them in the oven and they may not have been as golden, but they tasted great. My husband pointed out that fall is coming and soon I will be able to cook in the oven again. But even then I’m sure I’ll use my crock pot to cook rolls every once in a while – especially when my oven is occupied cooking a casserole. So there you have it – a fast, easy way to cook rolls in a slow cooker. It’s so easy my 7-year-old could do it. And he did, Monday night, which is his new night to help me cook dinner. Each summer my husband bans me from baking in our hotter-than-Hades-non-insulated-or-air-conditioned kitchen. Normally I just look at him, roll my eyes and ask him if that means he wants to starve. 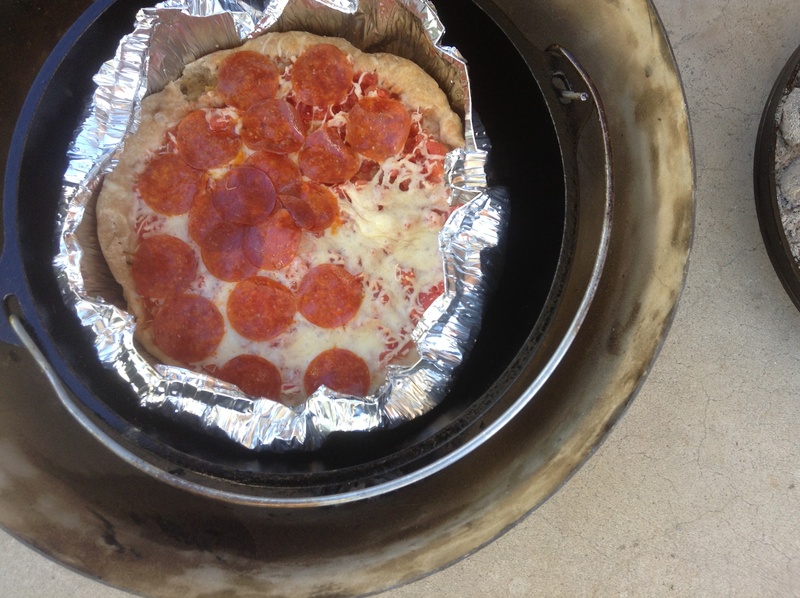 This year he proposed a solution to the stress of oven-free living: the Dutch oven. Every Friday for the past several weeks we have cracked open the cast-iron cooker and tried our hand at cooking mountain-man style. Not only does this help keep our house temperature to a tolerable 78 degrees, it helps us practice new recipes to take camping. Next time we spend some time in the great outdoors, we’re going to eat in style. We’ve had the Dutch oven for years and we’ve never really learned how to use it. Now we’re forcing ourselves to become experts. I guess you could say we are going Dutch. When it comes to Friday-night eating anyway. I prepare the food while my husband prepares the oven – outside under our shaded patio. So far we’ve had breaded chicken breasts with potatoes, ham and cheesy potatoes, pork ribs and potatoes, and – believe it or not – pizza. I stumbled across an excellent website that has really easy recipes and a full-proof guide/chart for using briquettes (it tells you how many to use for what temperature you want to cook at.) If you get the urge to try cooking outside check out www.dutchovendude.com. In years past, after my annual kitchen seasonal banishment, I have tried my hand at cooking on the grill – something I have not yet perfected, but it gets us through. I grill a mean honey ranch chicken breast and I have finally acquired a taste for bratwurst. I have also made good use of the ever-famous slow-cooking crock pot. 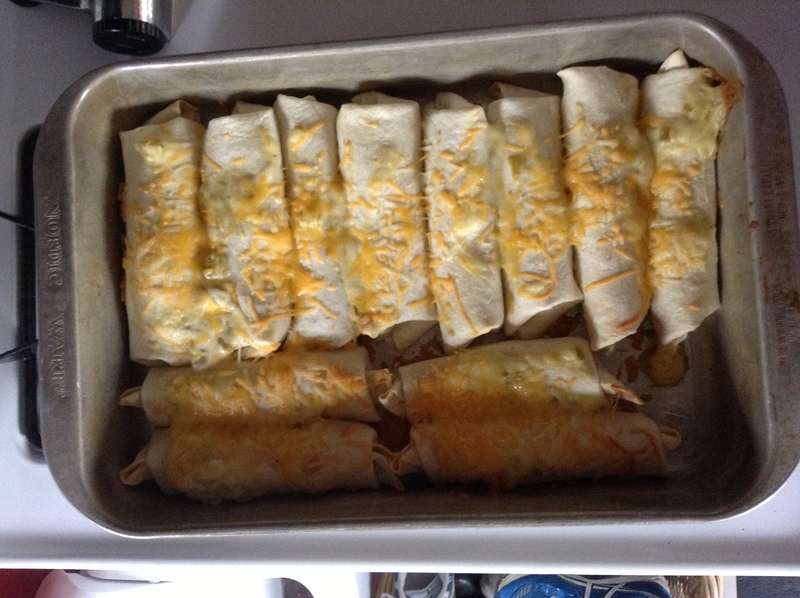 I’ve mastered several throw-it-in, turn-it-on recipes including an awesome chicken and rice burrito filling. But the Dutch oven has rounded out our summer cooking nicely. I was going to wait to post about our new cooking style at the end of the summer, but it has been so fun, and the food has been so good, I thought I’d share so you could try it out too! I strongly recommend it. There’s nothing like the smell of fire-hot briquettes on a warm summer night. Now I don’t think we will starve, not this summer anyway.